Look, we know how it goes. Between all the deadlines, the endless meetings stopping you from getting to those deadlines, and your overflowing inbox, there’s not much time to think about health while you’re at work. Thing is, your average office can actually be pretty detrimental to your wellbeing. While some of the biggest risk factors can be eliminated by working from home, not everyone has that luxury. Fortunately, there are a few companies out there looking to change that. 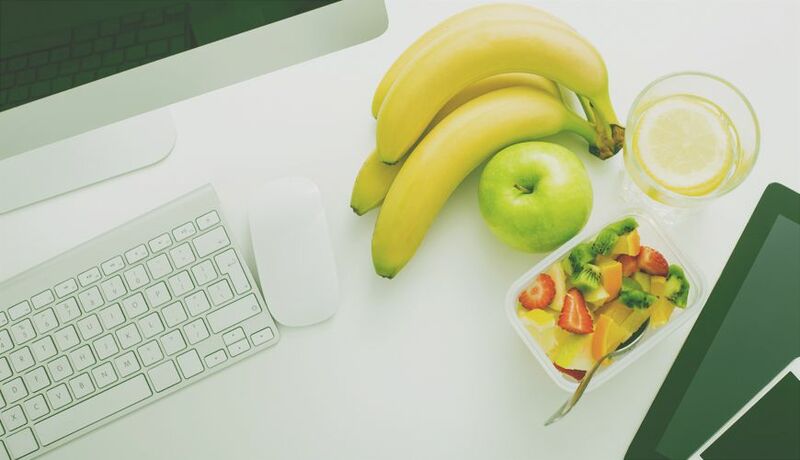 In this, the first article in a two-part series, we look at the South African companies making it easier to be healthy in the office. By now, you’ve probably read that sitting is the new smoking. A sedentary lifestyle, the research argues, is closely tied with increased risk of cancer, heart disease and type 2 diabetes. That gets scarier if, like most of us, your work day is spent sitting at a desk. One way of mitigating this is with a standing desk. That’s all well and good but a specialised, adjustable standing desk can easily set you back thousands of dollars. Enter DeskStand. Headquartered in Cape Town, it makes standing desks that are portable, easily adjustable, and which cost much less than the overseas equivalents. A demanding work life can make it all too easy to subsist on a convenience-driven junk food diet. Do that for too long though and you’ll end up putting yourself at risk for a raft of nutrition-related conditions. One way to combat this is to always have healthy food at hand in the office. Servicing Cape Town and surrounds, The Fruit Cube delivers boxes of mixed, fresh, seasonal fruit to your office. Each Fruit Cube, the company says, contains 25 – 30 pieces of top quality, seasonal fruit. One Cube, it adds, is “perfect for 10 – 15 employees or a family per week”. Speaking of convenience, the office vending machine can be another major culprit when it comes to a poor office diet. Filled with Soda, chocolates, and crisps, they might be a quick way of fuelling yourself between meetings but they don’t exactly scream “healthy”. In a bid to change that Capetonians Gideon Greaves and Chad Knezovich created a healthy vending machine in the shape of the Green Machine. It also tries to dispel the notion that healthy food has to cost more by pricing the items in the fridge competitively. In addition to its vending machine offering, Green Machine has a delivery box service which allows you to order healthy snacks for your office. One way to create a healthier office environment is by encouraging your employees to exercise. That’s not always easy though. Running or cycling to work, for instance, might not be an option if your office block doesn’t have showers. Some might not be able to afford gym memberships, and it can quickly get boring even for those who can. So why not combine exercise with a little team building? Why not stop everyone working an hour early one day and let them join in on an office yoga class? Johannesburg-based Yoga Works offers corporate yoga sessions focusing on “desk therapy” – using yoga techniques to counteract negative effects from long periods of sitting at our desks. Costs range from R1000 for a session of up to 15 people to R4000 for up to 100 people, making it a pretty cost-effective option. Let’s be honest, the catering at most corporate functions tends to involve a lot of mass-produced, carb-heavy food. Thankfully there is a healthy option that’s still stylish and delicious. Johannesburg-based Sumting Fresh started out selling fresh, healthy street food at festivals and markets. Since then, it’s branched out into a number of other business areas, including corporate catering. “We come to you, set up, feed the masses,” the company site reads. Be warned though, this option isn’t aimed at your average startup. It’s unlikely to accept jobs catering to fewer than 40 people. Get beyond that though and it becomes a pretty cool option for a monthly (or maybe even weekly) lunch paid for by the company. The above are, of course, only a small sample of the companies out there looking to make the workplace healthier. If there are any others you think we should know about, let us know in the comments section below.